Leave volunteering information at local physicians’ offices. Leave info at travel agencies who book voluntourism trips. That feeling of wanting to help might just carry over when the trip takers get back. Organize a positive protest create signs promoting volunteering and pick a street corner-good for small groups of episodic volunteers. Set the tone in reply emails-phrases like welcome to an experience you’ll cherish, you’re about to begin a journey like no other. 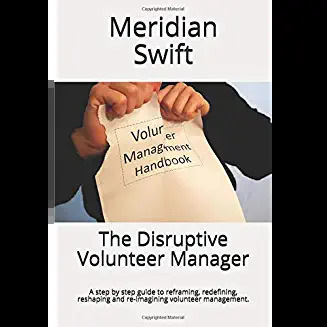 Save compliments about volunteers, use as recruitment testimonials, keep in book for vols to read, share at meetings, training, etc. Recruit by cross referencing-pets work with seniors, retirees work with children etc to appeal to new audiences of prospective volunteers. Reach more prospective volunteers by a presentation on volunteering in general, partner with other non profits for maximum exposure. Recruiting? Advertise perks of volunteering-our volunteers enjoy monthly yoga classes, quarterly relevant education, networking, etc. Recruiting students to volunteer? Sponsor an essay contest about your mission, involve media. Hold regular brainstorming sessions with volunteers to recruit new vols-keep their interest up in helping find new volunteers. Create vol recruit ads from current popular books, movies-Ex: Eat, Pray, Volunteer or Transformers: Age of Volunteers. Send thank you letter to potential volunteer after meeting/interview. Outline various jobs, use testimonials to engage. Experiment and create 3 ads for 1 volunteer job make 1 about actual task 2 about how it helps the client 3 about the benefit for volunteer; see which one works. Create template of recommendation letter for volunteer. Advertise “this can be yours” to students, folks looking for job experience. Host “bring a buddy” open houses where your volunteers recruit a friend. They know who will make a great volunteer and can motivate and mentor too! Get staff involved in recruiting volunteers. Offer prize at end of year for most volunteers recruited, referred, for certain positions etc. Send thank you notes to volunteers’ family for sharing volunteer with you. Might just recruit them too! Keep the focus on mission when challenged with staff and volunteers not able to get along well see Is Making Volunteers Likeable Our Objective? Question separating volunteers and advocate for inclusion see Do volunteers say we or they? Learn some facts about the group: see Hey Corporate Volunteers, Where Are You From Again? Send a follow-up survey to hone future projects: see Hey Corporate Volunteers, Where Are You From Again? Thank the group for any input: see Hey Corporate Volunteers, Where Are You From Again? Create a plan before accepting groups: see Hey Corporate Volunteers How Great is Weeding? Create an application process to manage and discover: see Hey Corporate Volunteers How Great is Weeding? Develop a narrative for each project-include testimonials, pictures, storytelling to reinforce the impact on clients and organization. see Hey Corporate Volunteers How Great is Weeding? It’s the little things, give packet of welcome info on parking, food, what to bring etc. Break the mission statement down into goals that can be quantified see Do Volunteer Managers Implement or Manage Volunteer Programs? Explain the difference between “off the street” and developed volunteers-the volunteers who are carefully vetted and on-boarded see would you choose raw or developed volunteers? Embrace your introverted or extroverted side. You may be an ambivert or an outgoing introvert. Both personality sides give you skills see Volunteer Managers: Extroverts or Introverts? Use saying “no” in ways to enact a better “yes” see Horrors! Can a Volunteer Manager Say No? Begin to treat volunteer management as a science, see Is Volunteer Management a Science? Craft volunteer stats and stories into impact stories, see I Speak Volunteer. You? Redefine volunteers as “investors” instead of “time donors.” see The Volunteer Investor: Is It Their Time or Something More? Rethink rejecting a potential volunteer as reshaping them into advocates see Can We Reject a Volunteer? Work with teams of volunteers so they do not become a clique and don’t accept new volunteers see Volunteer Clicks or Cliques?Volunteer Clicks or Cliques? Elevate vol job status in eyes of vols and org by professionalizing job descriptions, attire requirements, skills needed, etc. 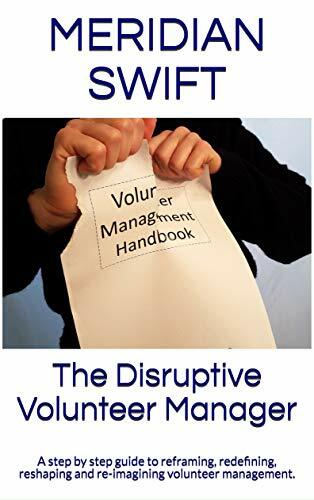 Save compliments about vols, use as recruitment testimonials, keep in book for vols to read, share at meetings, training, etc. Hold regular brainstorming sessions with vols to rework job descriptions, tasks etc. Start an inspire newsletter-share articles that inspire you with vols and tell them how they inspire you too. Create checklist for new vols-use calendar reminders to follow up on obtaining paperwork, background check etc. Keep stories you hear of amazing volunteer work. Keep journal, notes – refer back often and read for your own inspiration. Tired of Vol of the Year Awards that single out just one? Give month or week awards-cute, serious, let vols give you award too! In addition to yearly vol perform evals, conduct engagement evals on their performance and org’s performance in engaging them-promote team aspect. Conduct survey with clients on vols- record positive statements as testimonials- use in reports, recruiting, etc. Create book of vols-photos, quotes on volunteering-display where staff and especially clients can see all the support. Learn 1 fact about each vol -kid’s names, favorite hobby- write down and refer to when interacting with the volunteer, it makes it easy to build on to know vols better. Create student led projects such as own fundraiser or survey their peers- its a great skill on resume for college. Mini education for vols-create distribution lists and email educational articles; encourage them to find more and share. When volunteers say they are flexible when they really aren’t see When a volunteer is “ok” but not ok. Create a spa day for volunteers to host, giving staff some pampering and appreciation, hopefully create more appreciation for volunteers. Create survey for staff: How do you view volunteer services? Make it funny, serious, but look for ways to correct misconceptions. Staff stops you in hall with volunteer request? Always email a synopsis of your understanding of discussion. Avoid miscommunication. Create awards for staff who excel at engaging and recognizing volunteers. Give award at annual volunteer event. Keep birthday cards for volunteers on hand. Bring the cards to staff meetings and pass around to get staff signatures. Nice recognition on volunteer’s birthday. Gather staff testimonials on volunteers. Share with the volunteers via email blast, newsletter, etc. Send a letter to a new volunteer’s former volunteeer manager letting them know how much the vol appreciates all the guidance and thanking them for helping shape volunteer. Create a library of publications you endorse to lend to your volunteers – ask them to help make the library grow. Create a mantra/goals board-keep in plain sight for vols, staff, clients and administration. Show what YOU work to accomplish. Want a kitschy fun way to talk about a vol at a meeting? Print out volunteers’ pics and attach to a craft stick-hold up so folks can see what they look like. Send holiday cards to former volunteers and thank them for their service-it just feels right. Want to involve school kids? Host poster contest about your organization. Give trophy and enlist media. Recruit parent/child vols. Need to speak at civic groups? Bring vols who sing, play music etc to break ice & keep talk from being too dry. Make vol name badges special by adding icons to indicate level of expertise-mentor, ambassador etc. Visually helpful too. Long time vol has to retire? Invite them to help orient new vols, give in-services, write manuals, handbooks. Call them sages. We walk fine line when vols step up into a leadership role. Do not relinquish control-encourage but have final say. At events, spend time with each volunteer and do informal survey on event success, etc. Report findings back to event manager. Lucky to have a skilled volunteer but don’t like the term skilled? Try pro bono or volunteer consultant instead. Both terms imply episodic and elevated involvement. Host a peer group meeting of volunteer managers in your area. Brainstorm challenges you face. see Volunteer Sustainability (volunteer retention) above for more ideas like this one.